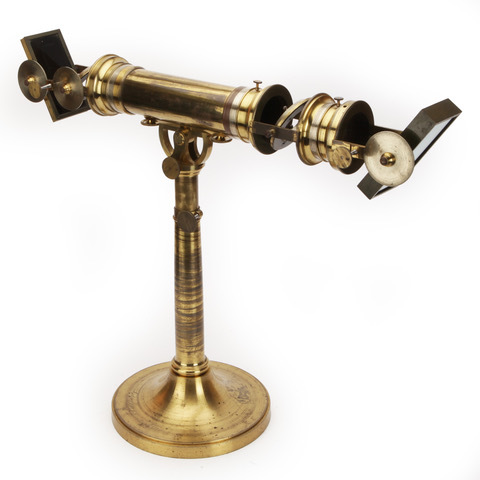 Large lacquered brass polariscope with numerous accessories to demonstrate and investigate polarisation phenomena standing on a large base (23 cm diameter) with a tall column supporting the body of the instrument (length 66 cm) on an adjustable mount. 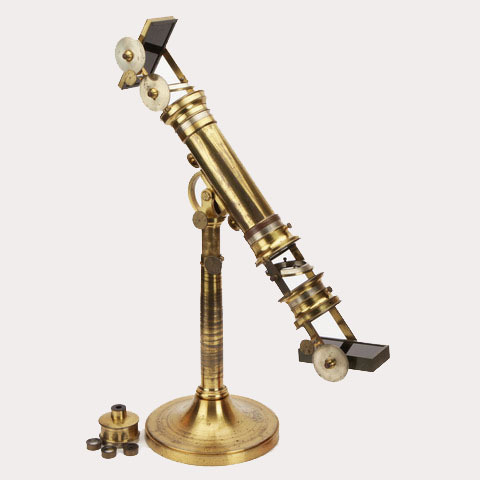 The mount allows the polariscope to be inclined and then fixed in position with a knurled wheel. The body in constructed in such a way that all of the parts are interchangeable. Each section has a silver collar onto which is engraved a scale. Where the scales fit the corresponding collar has an engraved arrow to show the degree of rotation. The two specimen mounts are made of a silver metal and are engraved with a scale around the edge. The large silver disks each have a scale engraved around the edge. 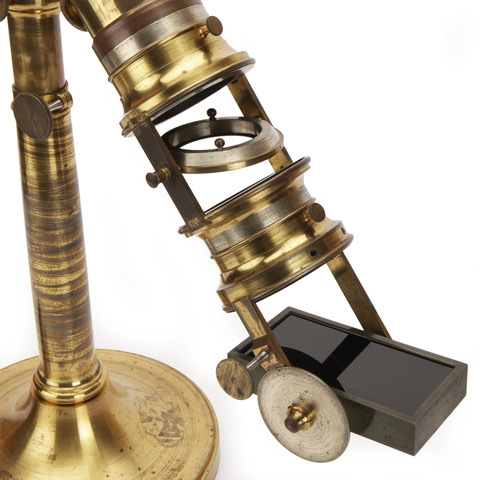 The top mirror is plane black glass and can assume any inclination with respect to the axis of the tube; the mirror at the bottom has both a black glass mirror and a stack of plate glass on the other side. 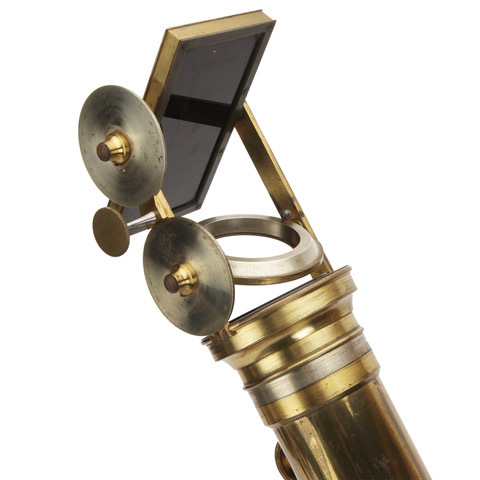 There is a holder for various eyepieces, engraved : "quartz perpendicular", "quartz parallel" and "bi-quartz à 2 rotations de Soleil".